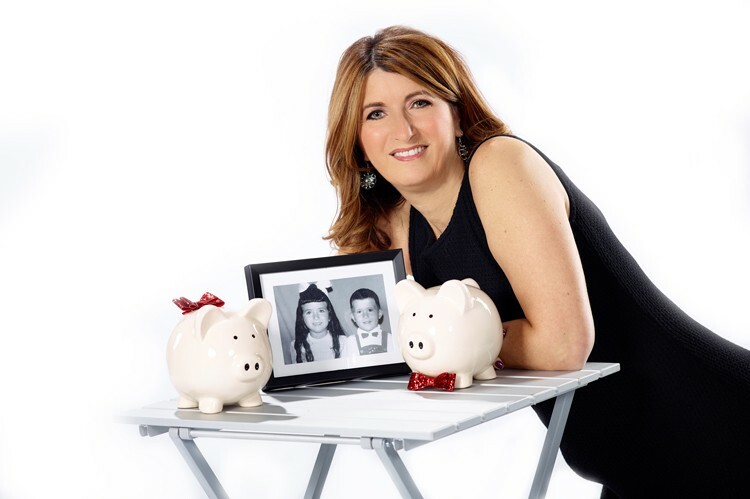 A new book series allows one of Canada’s most successful women to give your kids the other “talk” (the one about dollars and cents). Loans, bills and wages don’t exactly make for a cheerful after-school chat with your seven-year-old. 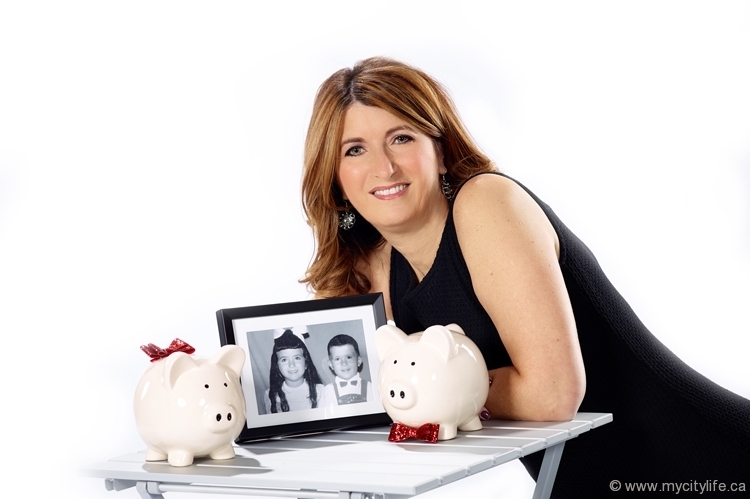 Even though studies have shown that financial literacy should be ingrained at an early age, parents are shying away from the subject because, heck, money talk is overwhelming enough for full-grown adults, let alone elementary school kids. But worry not. One of Canada’s most business-savvy minds is already a few steps — and nine books — ahead of you. If you’re at all familiar with the ebb and flow of our country’s finances and big-league business transactions, you probably know the name Teresa Cascioli. 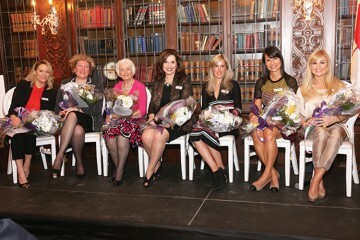 She’s topped many a list of Canada’s most powerful and successful women, and she’s even been awarded the Queen’s Diamond Jubilee Medal. She wowed us all in 2007 when, after becoming CEO of Lakeport Brewing while in a state of bankruptcy, she only took eight years to sell the company to Labatt — a $201 million deal. She’s been the strategic advisor for the likes of KPMG, and preaches her highly sought-after financial wizardry in motivational talks around the world. 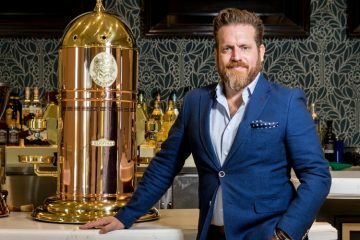 Needless to say, Cascioli is the most qualified human being to teach Gen-Z’s about money. Her latest self-appointed challenge: teaching Canada’s children how to avoid burying themselves in a financial rut. 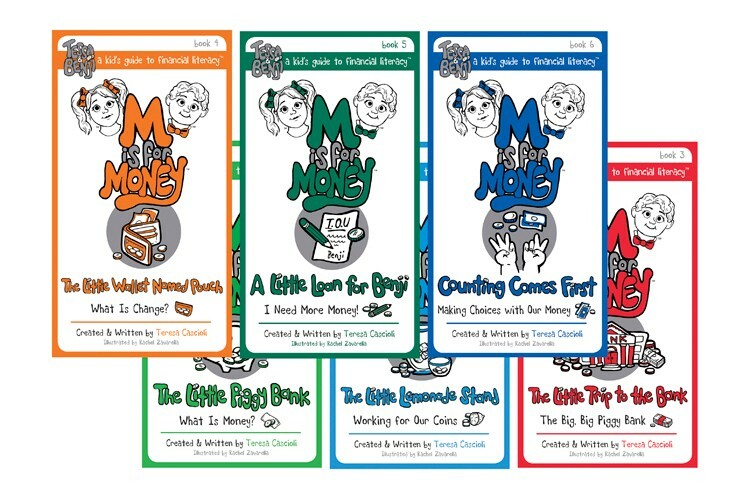 She’s accomplishing this goal through her series of kids’ books, M is for Money, starring seven-year-old twins Tessa and Benji. The series of nine books (the final three were just launched in early March) follows the twins as they’re introduced to the mystical world of dolla, dolla bills, only using basic, kid-friendly concepts from a Canadian perspective. The first book introduces them to the concept of money, followed by the second book’s lesson in earning, then banking, borrowing, budgeting, donating and other real-life scenarios. Cascioli has broken it all down into bite-sized lessons, one per book, that speak the language of five- to nine-year-olds and make it a lot easier for kids to soak it all in. The idea for the series first came to the entrepreneur a few years ago when she was planning to gift some money to a friend’s child. Cascioli didn’t want to just hand the kid a $100 bill, so she started her hunt for a book that would effectively teach little ones what money really is. But to her disappointment, she discovered that such a book didn’t exist, especially not in a Canadian setting. She decided to tap into her own financial talents and produce the books herself. Two years later, in 2015, she released the first six books in the series, and this spring came the final three. Chapters and Indigo were quick to stock M is for Money in the children’s reference section, Mastermind just recently added it to its inventory of brain-tickling tools, and even school libraries are slowly starting to get their hands on the series. Tessa and Benji are becoming the Dora and Diego of cash.